Solar energy and energy storage go together naturally. For homeowners and businesses who want true energy independence and control of their power, it’s the perfect solution. Solar Energy storage allows you to generate, store, and manage your energy usage. During a black out, you have a reliable source of power for your home that puts you in control – you choose how much you want to backup. Combining battery storage with solar technology can significantly increase your electricity savings by reducing monthly demand charges. Stored solar energy works seamlessly with the battery storage unit which can be used to power your business during outages to ensure continuing productivity. We constantly evaluate the best batteries and inverters to make sure we are offering the most reliable and cost effective energy storage solution to our customers. Save money on your utility bills by using excess stored solar power to address demands charges and offset peak energy rates. Take back control for maximum savings. Learn more about saving with solar. Almost everything in a business runs on electricity, so reliability is essential. Extreme weather and equipment failure are causing more outages than ever. Batteries will instantly power your operations when the grid goes down and never require maintenance. 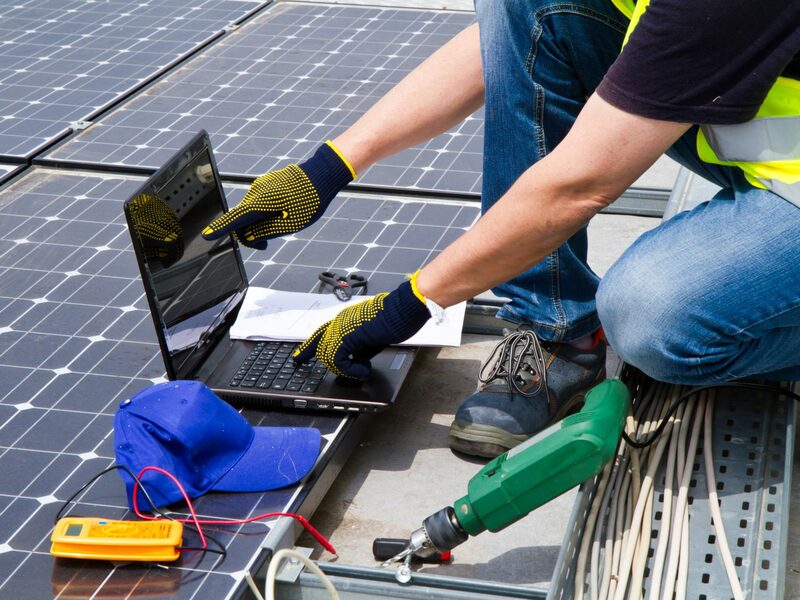 Our solar battery systems make generating, storing and managing clean solar energy seamless. Battery storage is the future of solar technology and energy management. Battery technology has advanced significantly in the last 10 years and the inefficiencies of charging DC batteries with AC power (which inverts back to AC electricity) have been greatly reduced. Our battery backup systems are made to work with your solar electric system to provide peace of mind, and power your operations when the lights go out. When your solar panels produce more electricity than you can use in your operation, the excess is stored in the battery pack instead of being sent back into the electric grid. Later, when your panels aren’t producing enough electricity, you can use the electricity stored in your battery instead of having to buy it from your utility. Solar by itself can cut monthly energy charges dramatically. Energy storage can increase those savings by addressing demand charges. In combination with solar panels it will enable you to supply yourself with clean energy – making you energy independent and protecting you from energy price hikes.